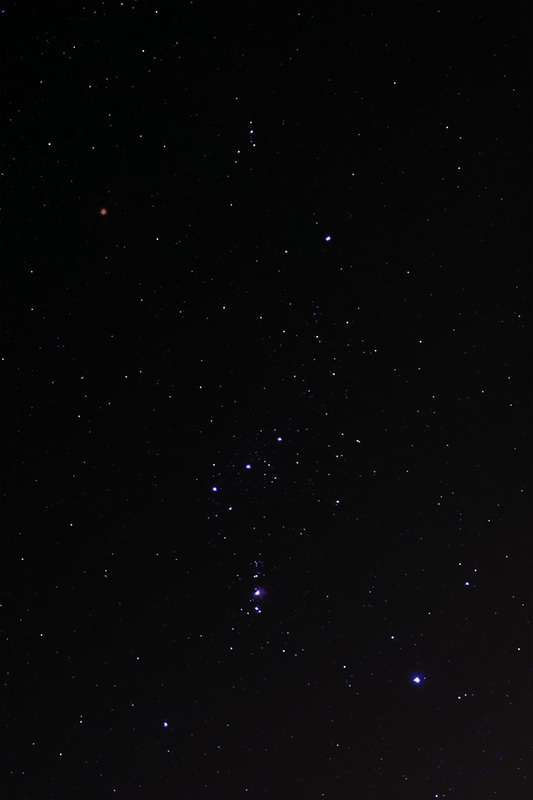 Orion from under Austin's light dome. The clouds cleared last night and gve me a chance to try some more images with the Sony RX100 V. I compared one hour stacks of images at ISO 80 and 400. 400 looked best. I need to get under dark skies. For now, the Ice Light Pollution filter is very helpful. Sony RX100 V with a Vixen Polarie tracker. Image stacked 30" ecposures for 58.5 minutes at f/1.8 at a focal length of 8.8mm. Stacked in Nebulosity with final crop and exposure in Photoshop.